Basket Weaving Workshops: Barbara Shapiro Teaches this Summer! Barbara Shapiro. 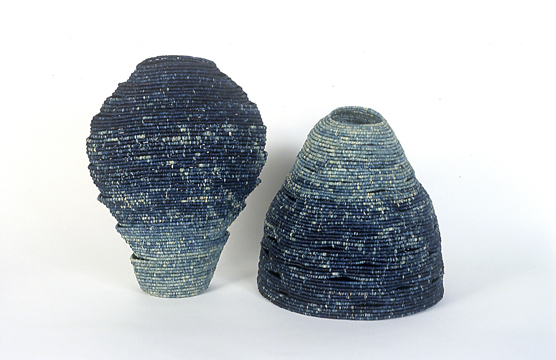 Un Homme and Une Femme are a paired set of coiled indigo dyed raffia; each supports the other, as they should. WSN Member Barbara Shapiro will be teaching two up coming basket weaving workshops in California this summer! One hosted by the Mendocino Arts Center and another at the San Luis Obispo Museum of Art. These workshops deal with sources of inspiration for artists of all kinds and a series of basketry techniques (plaited paper, hexagonal plaited cane and coiling with raffia) adaptable to your own style. At the Mendocino Arts Center. July 25 – 27, 2014. 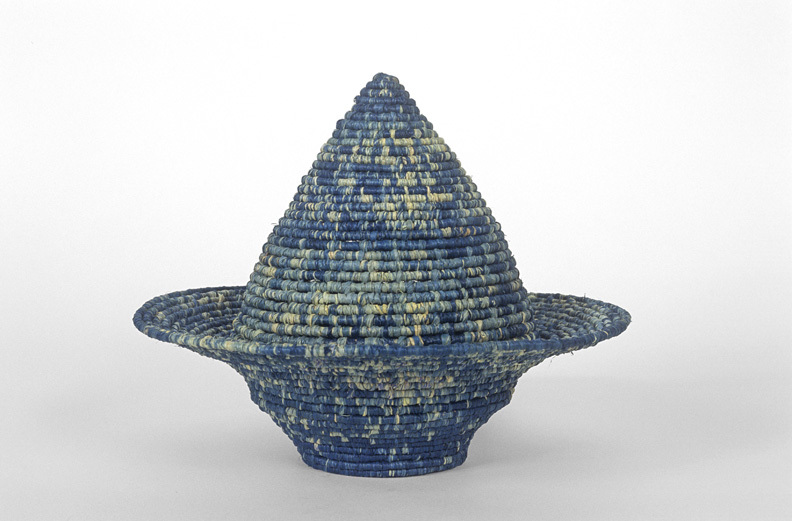 This entry was posted on 28 March 2014 by World Shibori Network.